A Letter from Mary Todd Lincoln to Mrs. Anson G. Henry. Mrs. Henry's husband was a friend of Abraham Lincoln and the Surveyor General of Washington Territory at the time of Lincoln's death. Dr. Henry died on July 30, 1865. 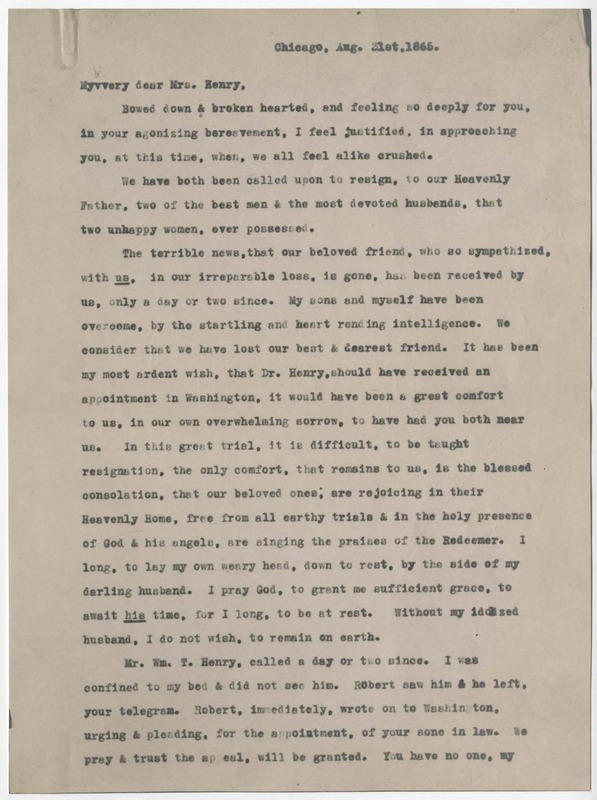 Mary Lincoln's letter expresses her sympathy for Mrs. Henry and her own grief for the death Dr. Henry and her husband.